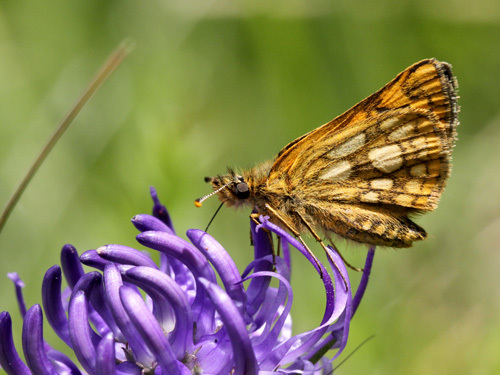 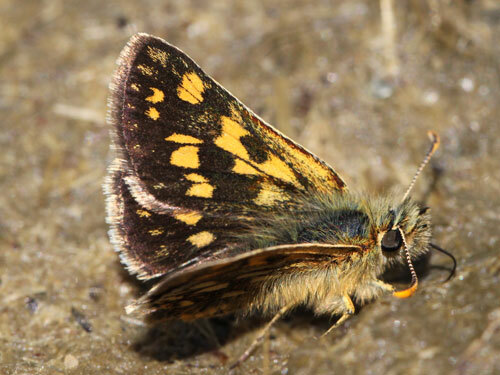 A distinctive skipper with yellow markings. 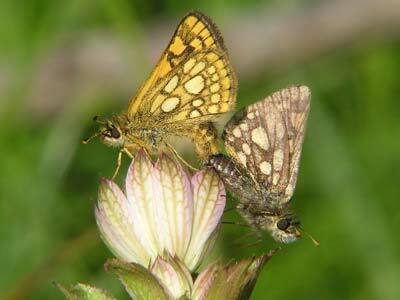 It has a particularly long abdomen relative to the size of the wings giving it a rather primitive look. 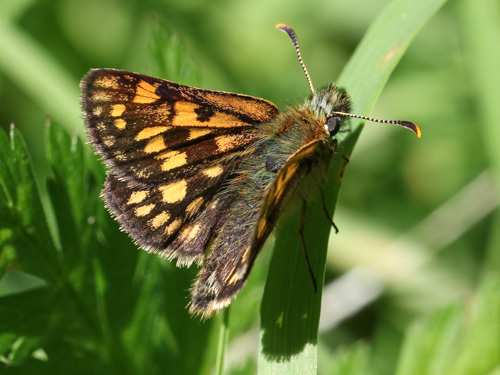 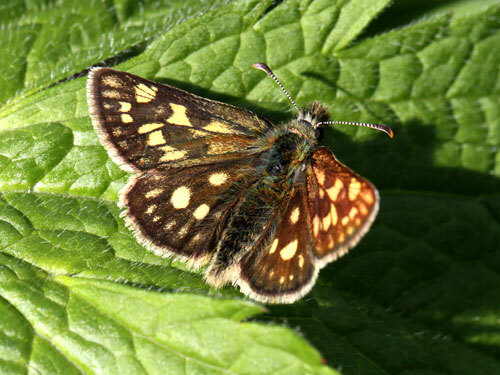 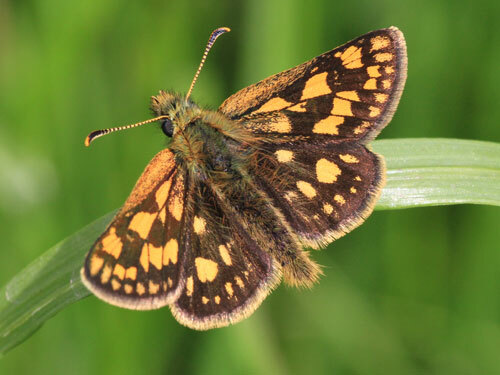 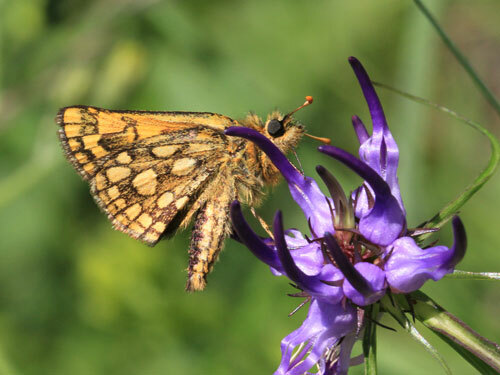 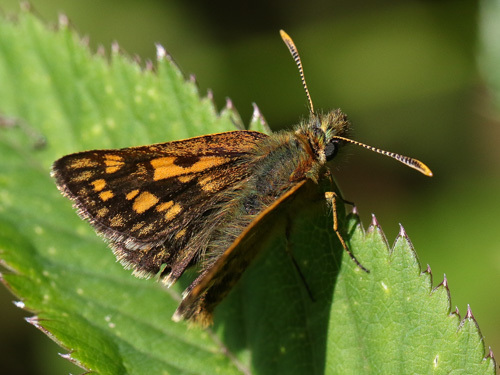 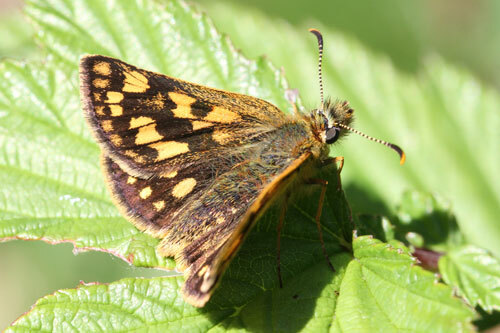 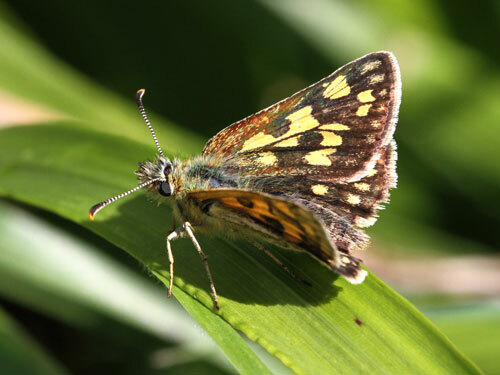 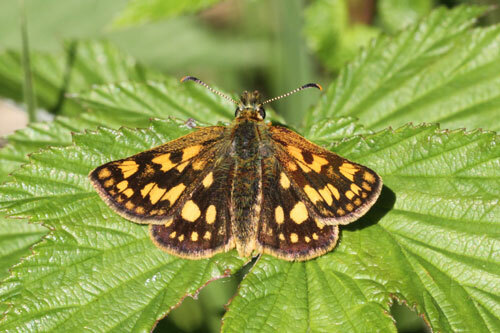 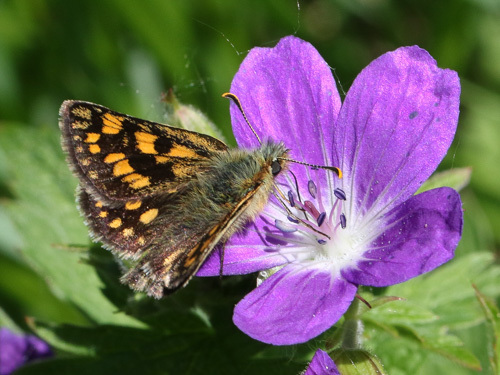 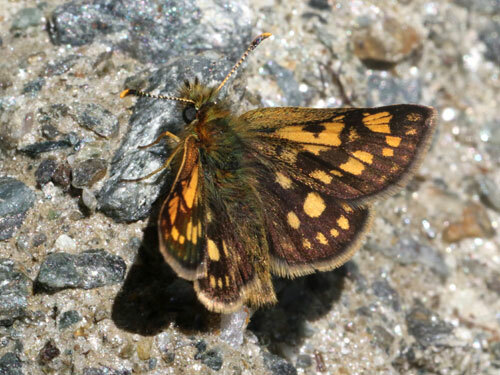 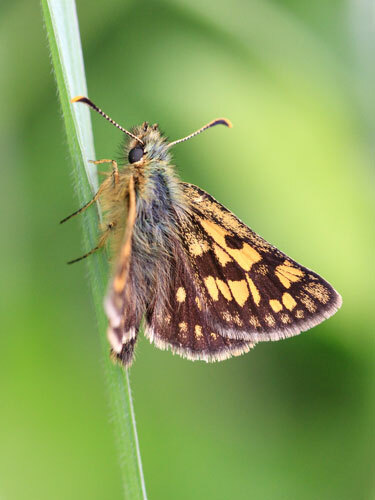 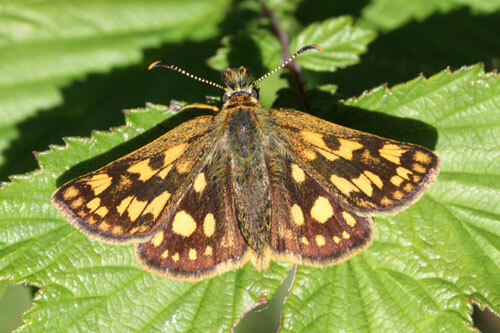 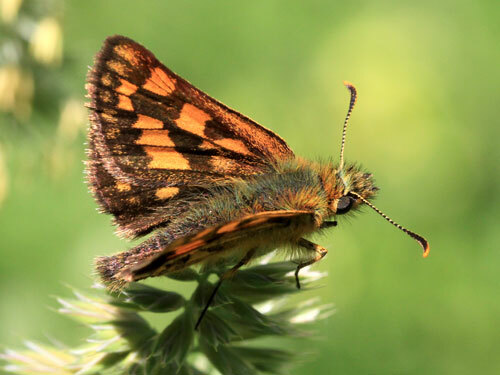 Identification & Similar species: Can only be confused with the northern chequered skipper C. silvicolus. 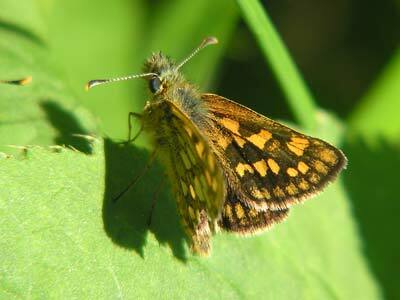 The male of that species has reduced, isolated brown spots on the forewing. 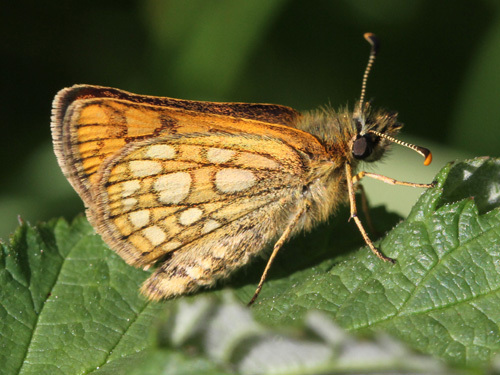 The veins of the current species on the forewing are brown and cutting through the orange patches. 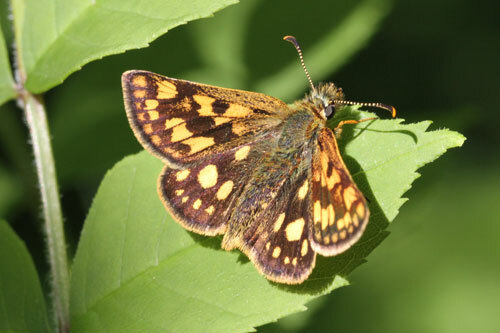 Distribution & Flight: This is a butterfly with a range across central Europe into Scandinavia and down to Greece with disconnected populations in the Pyrenees and northwest Scotland. 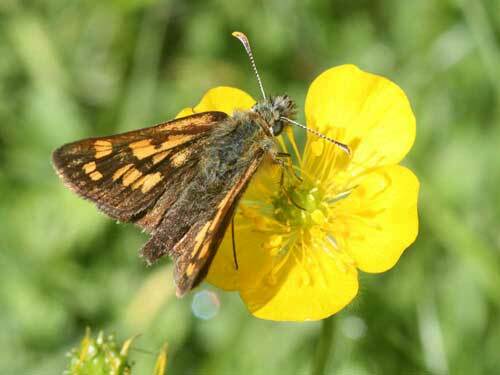 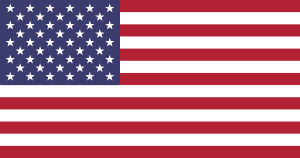 Flies in a single brood in mid May/ June at lower levels and July at alpine and sub-alpine altitudes and higher latitudes. 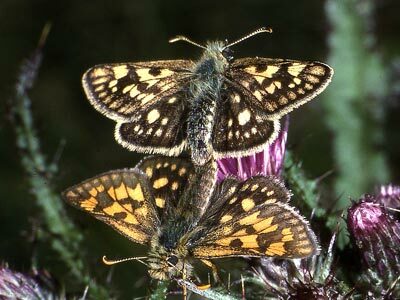 Habitat & Behaviour: Light woodland, usually in damp meadows. 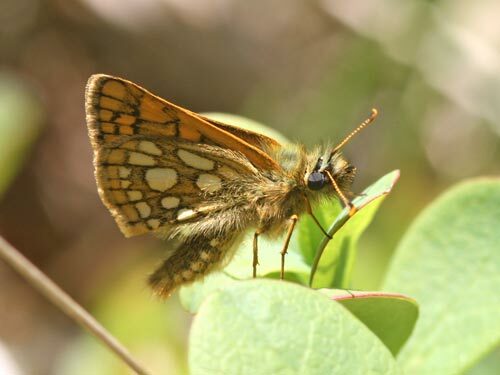 Surprisingly late in the season for this species.